In his 2013 State of the Union address, President Obama called for national expansion of prekindergarten programs through the “Preschool for All” initiative. Two reports issued since then – good news and bad news – have added substance and urgency to the debate over the President’s proposal. The good news came in March, when a seven-year study of preschools in New Jersey demonstrated persistent, meaningful advances in achievement for children from the state’s most disadvantaged communities. The study found considerable gains in literacy, language, math and science through fourth and fifth grade, as well as reductions in repeated grades and special education placements. The bad news was announced in April in a report released by the National Institute for Early Education Research that indicated funding for early education programs has fallen dramatically across the country, enrollment stalled and in many states quality is dropping. This is important information that needs to be included in any discussion of the President’s proposal. It points to a fundamental fact that I believe we should all agree on: Early childhood education is a critically important investment in our future. As parents, we all want what is best for our children. That includes an education that enables them to become engaged and productive members of society. As Americans, we should want the same for all of our nation’s children. Securing access for all children to begin their educational journey before kindergarten will help them develop critical skills such as self-awareness, listening and cooperation, providing the foundation for early literacy, math and other cognitive concepts. Multiple studies have shown that children who complete a preschool program are more likely to graduate, obtain employment and become law-abiding citizens. All of these benefits add up to a substantial return on investment for every dollar spent on these programs. Research consistently indicates that preschool has a significant positive impact on children regardless of socio-economic background. However, the benefits are especially impactful for at-risk children from low-income families, as the most recent study from New Jersey showed. Multiple studies also have shown that early childhood education provides a foundation for developing a strong future workforce, which is essential to building a robust, innovative and competitive national economy. Currently, high school students in the United States perform substantially below students from an alarming number of other countries in math, science and reading. To reverse that trend, we must start early; studies indicate that students who aren’t reading at grade level by the fourth grade will never catch up. As the CEO of one of the largest early education and childcare companies in the U.S., it is not surprising that I support early childhood learning. But previously, I spent a decade leading an employment services business in North America, Europe, the Middle East and Africa, where I saw firsthand how crucial an educated workforce is to business success. Because of that experience, I strongly believe that an investment in our children’s education is an investment in a strong and prosperous America. Financial advisors instruct us that money invested early in life will have the greatest benefit, because the returns are compounded over a lifetime. The same holds true for education. It must start at the preschool level, because from a developmental standpoint, this is when children learn how to learn. But here, too, we must invest wisely to achieve the greatest returns. A universal preschool program can deliver meaningful, long-term gains for children from all socio-economic segments – provided it requires high standards, a rigorous curriculum and qualified, dedicated teachers. To serve large numbers of children, these programs must also be cost-effective and replicable on a large scale. To those who say that combining high quality with efficiency and scalability can’t be done, I would answer that we are doing it today in preschools across the country. 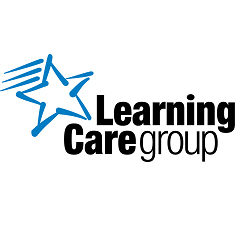 The Learning Care Group alone operates more than 900 schools in the U.S. and around the world, achieving a significant positive impact on the lives of tens of thousands of children every day. Whatever our perspective – as parents, business people, citizens or lawmakers – as we continue the discussion about the impact and implications of Preschool for All, our conversations should begin with an acknowledgement of the proven value of early childhood education. It is an investment in our future that promises a lifetime of substantial returns not only for our country, but more importantly, for our nation’s children. Barbara Beck is chief executive officer of the Learning Care Group, the second-largest, for-profit early childhood education company in the U.S., operating under the brands of La Petite Academy, Childtime, Tutor Time, Montessori Unlimited and The Children’s Courtyard. A member of the Harvard University Women’s Leadership Board, she also served on the Davos, Switzerland-based World Economic Forum’s Women Leaders Advisory Board.